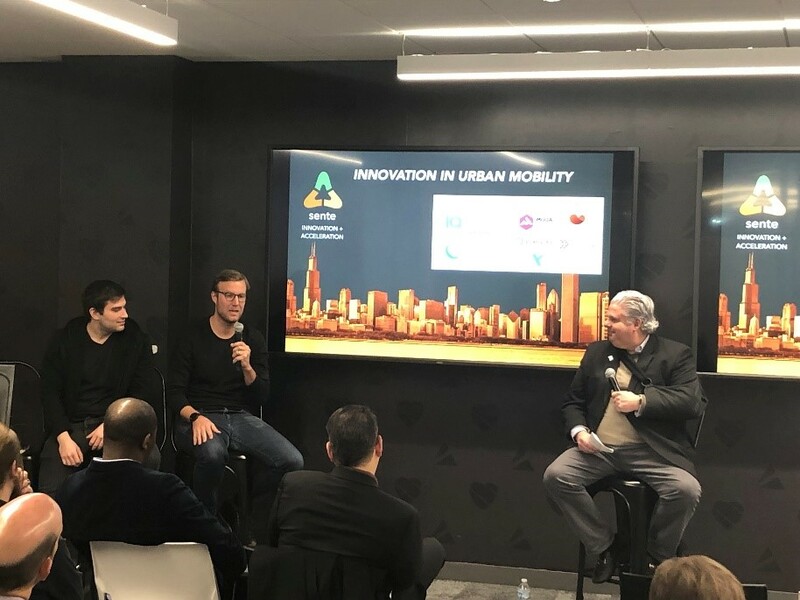 On Friday, January 18th, the Chicago Connectory hosted Sente’s Industry Forum for Innovation in Urban Mobility, where industry experts and founders of various technology startups shared their views on new trends and developments in the urban mobility space. This event was coordinated by Sente and supported by startups in Sente mobility program by participating as panelists for the two panel discussions. 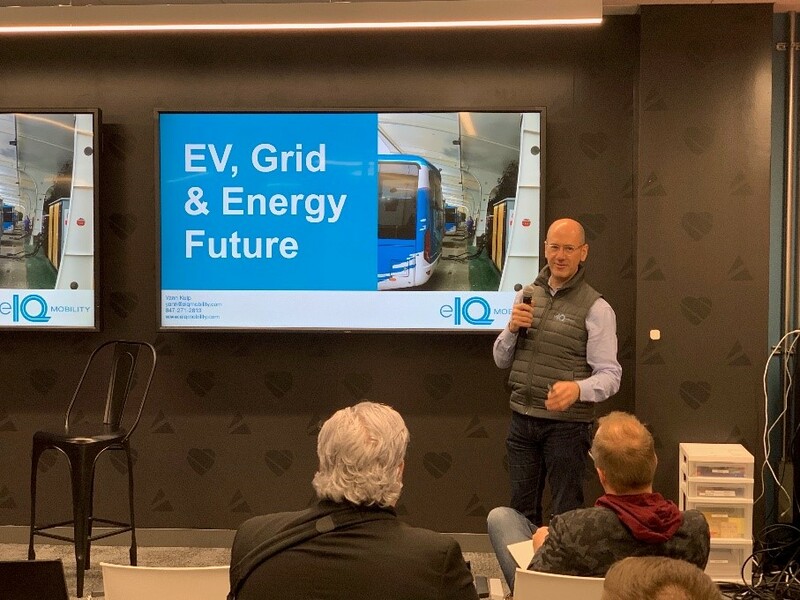 The event kicked off with a keynote speaker, Yann Kulp, head of electric mobility strategy of Schneider Electric and Co-founder of eIQMobility on the topic of electric mobility with the focus of connected fleets. Yann discussed in depth on why fleets are interested to “jump into the electrification industry”, what the future holds for connected fleets, and what companies have already started to implement this. Next, Yann discussed the global perspectives of connected fleets and how it can differ from the US. The event transitioned into the first panel discussion about connected vehicles that was moderated by Jerry Quandt, CEO of Illinois Autonomous Vehicles Association. Following the first panel, the second panel took place about MaaS and Urban Mobility Analytics that was moderated by Gerod Carfantan, COO of Sente Foundry.